Classic outfits and a new mode called "Ghost Survivors" are coming to Resident Evil 2. Capcom has announced a set of free post-launch DLC content coming later to Resident Evil 2. These include a set of classic costumes for Claire and Leon, and a whole new game mode called Ghost Survivors. During a Resident Evil 2 Launch Event stream, Capcom announced a new game mode called Ghost Survivors. In it, players can play as one of several different characters as they make their way through a randomized challenge mode. Confirmed playable characters include Robert Kendo, the mayor's daughter Katherine, and a USS soldier. According to a report on ResetEra, the new Ghost Survivors mode will be some kind of randomized, roguelike mode. It will be released in three different volumes, and more characters could be revealed later. 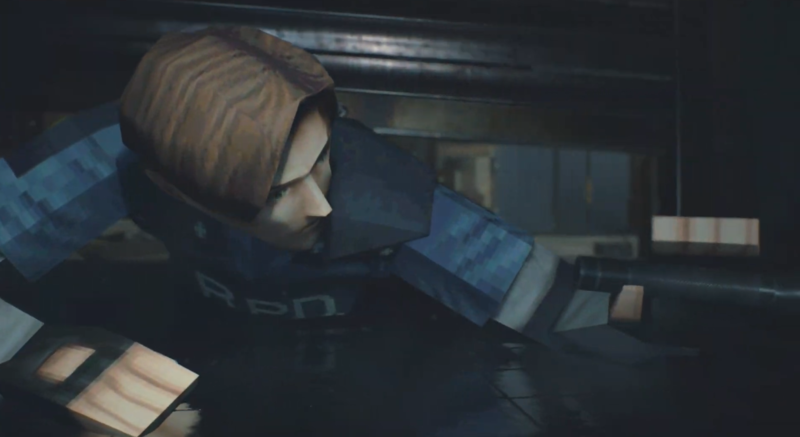 The second DLC is a set of outfits that transform Claire and Leon into polygonal versions of themselves from the original 1998 version of Resident Evil 2. The outfits will be bundled for free with PlayStation point cards at first as part of a limited-time promotion. But the DLC outfits will eventually be available to everyone for free on March 22 in Japan. No word yet on whether or not a similar promotion will be available in the west. Resident Evil 2 is a loose remake of Capcom's 1998 sequel. Our Resident Evil 2 review calls it the best Resident Evil game in the series, and it's great to learn that Capcom will be supporting Resident Evil 2 with free post-launch content. Resident Evil 2 comes out on PS4, Xbox One, and PC on January 25.